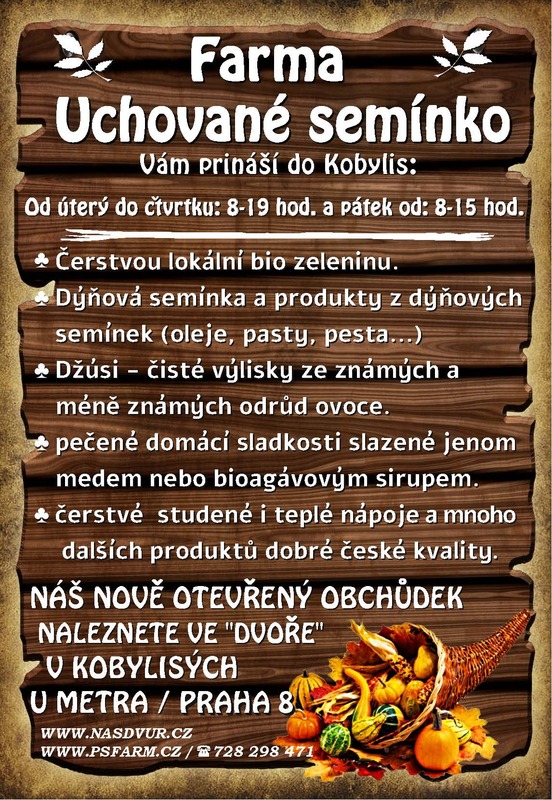 Welcome to our new Farmstore at the Kobylisy Dvur, right across the Metro Station “Kobylisy”. You will find all of our Farma Uchovane Seminko farm products there in an inviting atmosphere. Stay in tune for new products and ToGo food. 2019 © Preserved Seed Farm. Crafted with love by SiteOrigin.